For the last hour I have been circling around my house retracing my steps on the hunt for my blogging notebook because I can not remember the password to my other website. I know I seen that infamous blue flower notebook yesterday because I gently scolded my niece for how she had carelessly handled it and now the back was off it. I had grabbed the separated cover and the pages that contained by scribbled notes and placed it where I thought it would be better suited. Yet here I am with no one to blame for the lost notebook but myself. The treasured notebook no where in sight. With every walk through I come across another notebook or book but not the one in which I am looking for and only about the time I’m resign to just give up my search I discover it cast away on the floor. This little pattern occurs over and over, although the item I’m hunting is often different. Last night after I found the notebook I moved on to search for a book I had been reading that some how managed to fall off a side table. All of this hunting for lost things and today being the official celebration of Dr. Martin Luther King’s birthday has me thinking about how our dreams can manage to get pushed aside. They often get covered up my the piles of I shoulds, I can’ts and I have tos. Like Dr. King we all have dreams. Although we may never have the opportunity or need to express it before thousands of people, we do need to remind and rehearse our dreams to ourselves from time to time. Have you had to dig your dreams out lately? How do you keep your dreams fresh? How do you know which dreams are not for you to fulfill but maybe for the next generation? Wanda, you have now touched on the very subject that I’m writing about: Dreams. We always hear the call to “follow our dreams,” and that leaves many people lost and running in circles BECAUSE THEY FAIL TO REALIZE THAT THE DREAM IS IN THEM. We don’t follow dreams, we carry dreams. As I was reading your words I had this visual (lol!) of you chasing that notebook, and for someone who loves writing, that is just a hilarious scenario. But seriously, I was thinking that many of those words in your journal are written on your heart. You are carrying them with you, even when they seem lost in the clouds somewhere or behind a side table or on the floor in a corner. May the words keep flowing to you and through you to the edification to all who hear and read it. Now Ms LaVonne you have given me a laugh but also made have a little selah moment with that comment carrying our dreams vs. chasing them. Now that is quite shift in perspective but it’s one that makes a lot more sense. I’m coming to sit and stew on that for awhile. I think we do need to keep our dreams front and center so we can accomplish them! I agree Susannah, although I know how they can managed to get covered over my the responsibilities of life if we are not careful. Hey Wanda! I know how you feel my friend! This is constantly happening to me. Two Sundays ago I pulled out my belt and when it was time to walk out the door, it was no where to be found…mind you, I didn’t leave the room during the time it was misplaced. Guess what? I still can’t find it…go figure, lol! 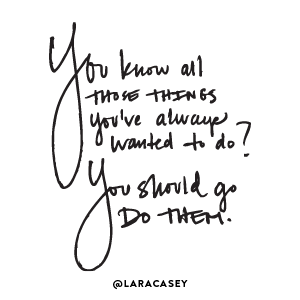 I’d have to say I keep my dreams fresh by making sure I do something towards them every week! Have a wonderful rest of your week Wanda! Isn’t that so odd how things can just pull that disappearing trick on you so fast. Hope you track that belt down soon girl. I like that idea of actively taking steps toward a goal each week that makes it more manageable. Have a great weekend. LOL! and I can sure relate to mis-placing things; just found some gift cards I received for Christmas that I was sure I must have accidentally thrown away. Found them right where I always put important stuff; glad I looked in that spot the second time!! Blessings Wanda; enjoy the rest of your week! Oh good for you Denise. That is like getting a gift twice. Hope you are able to get yourself something nice. Hi Wanda! Wow, you ask some very deep questions. I think they are meant to ponder, not to answer in a comment, right? I think reviewing what dreams we have for ourselves is such a great way to enter the New Year. Just to have an outline of where I am headed it a good thing. Not that it will stay that way, God has a way of mid-course correcting me of course. I love your description of losing things…and finding them. (May I just say that I keep a notebook for blogging and twitter, and I would DIE if I lost it. I was right in there with you!) But covering up what is important can be all too easy. Yikes, you have given me MUCH food for thought But then, you always do. Those little notebooks are handy for keeping us organized for sure Ceil. Those questions are ones that seem to linger as I closed out my writing. I’m with you. I think it’s good for us to have some sort of skeleton idea of where we headed but remain pliable if and when God chooses to change our course. A special post perfect to align with King’s Day! I have had to pinch myself lately and remind myself not to cave in to the drama that has unfolded for me, since October. I have been living in a storm and my time is not my own. I so hope you find it…I am not a fan of can’t find, but it happens to all of us. I understand we should pick a day to remember our dreams, our intentions. Hope is what keeps us sane and we all need this gift! Thank you Wanda~ King reminds all of us to dream! May you ever be making steps toward the dream within you Ella. I hope you found your note book. We live in a password world now, everything its a password and yes one has to have a book for them all! Indeed I found it. It managed to slip on my side table. Even though we are told not to write them down I have to have some way of managing all of the passwords. It will be wonderful to see just how God unfolds that dream Beth. Hi Wanda…thank you for the reminder to pursue dreams. I think we have to always be thinking on how we can take baby steps toward our dreams and goals. What can I do today to create the kind of life I want in the future? What can I be praying about as I put it all in God’s hands? Am I trusting in His guidance for my dreams or am I going forward in my own direction? These are questions I think over…Blessings to you in this new year! Amy I really like the wisdom you have shared here. I think it’s easy to become overwhelmed in the vastness of our dreams and then will fail to take those small steps toward seeing them become a reality. Dreams are realized in small steps. Sometimes the road to those dreams can temporarily seem hidden from us. But looking back we can see the progress that has been made and that will give us hope that God will clear the way ahead. Your hunt for your notebook reminded me of the times I have searched for my glasses only to discover them perched on my head! Pam that story is similar to my hunt for my keys that I was holding in hands. I can’t tell you much my nieces and nephew enjoy retelling that story.